Telling his life stories: Simon Tedeschi. Photo: Cole Bennetts. 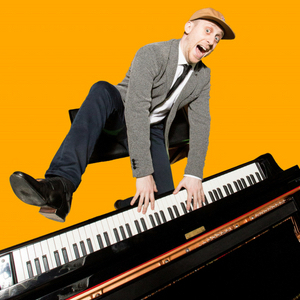 Pianist and Prankster is about Simon Tedeschi’s life story as a pianist, growing up with a musical talent, managing 7-9 hours of practise a day and dealing with school. He sets out to explain to us how and why he loves music and shows the audience how it’s a way of expressing himself. Simon lightly touches on the prankster part of his show by telling us a story through different songs on the piano. Simon showed us so many different moods of music, and many styles ranging from jazz to classical and even boogie. Mostly, though, he introduced kids to classical music by telling stories about his childhood, whilst playing famous classical pieces that fitted the mood of each story. Simon was very funny and it didn’t look like he was trying too hard, which is a good thing because then the show has a better flow and can make people laugh and enjoy themselves. It’s a great way of entertaining kids (and adults!) which he did brilliantly. Simon is an extraordinary pianist and showed that by telling his life story through music. One part I particularly liked was when he told us about how he fooled his mum into thinking he was practising, when he was really watching his favourite TV show, by playing The Simpsons theme song when she came home. I thought that was really funny and another great way to connect to all ages, as The Simpsons is a classic staple of television family comedy. Another great story Simon told was about his friend David, who had cerebral palsy, and who played a beautiful piano piece in the school hall. This demonstrated how piano was a physical therapy for him. The song David was playing was a very famous classical piece called Variations on a Theme, by Bach (which we know as Twinkle, Twinkle Little Star), and Simon was captivated. He said it was the greatest gift anyone can give to another, a love of music. Simon connected with the audience so well that everyone laughed and had a good time. 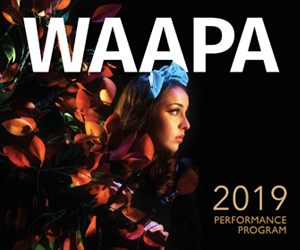 The show has finished its season at the Awesome Festival, but if it returns to Perth in the future, I highly recommend it for any parents or grandparents looking to do something with their family. There are plenty of other shows on offer at the Awesome Festival, which runs until October 12. Simon Tedeschi is pictured top. Photo: Cole Bennetts.